The Trump administration is proving more willing to comment on Federal Reserve rate moves after saying little about central bank policy in its first year, in a development that risks unsettling financial markets. Donald Trump has never made a secret of his appetite for cheap borrowing costs, calling himself a low-rates person. But in his first year as president his administration shied away from discussing the central bank’s decisions. This was partly under the influence of Gary Cohn, the former National Economic Council director, who understood the market sensitivity of its work. Recently, officials have become more vocal. Peter Navarro, the president’s trade adviser, has made perhaps the most direct intervention, telling CNBC this month that he was “a little puzzled when the Fed announced three rate hikes before the end of the year”, arguing there was no inflation to speak of in the US economy. This week, Mr Trump used Twitter to accuse Russia and China of devaluing their currencies while the US “keeps raising interest rates”, saying the situation was not acceptable. The administrations of Bill Clinton, George W Bush and Barack Obama steered clear of commenting publicly on monetary policy, judging that it would be better for investor confidence if they respected the central bank’s independence. Previous presidents have, on the other hand, been more willing to apply pressure on the central bank, among them George H.W. Bush, whose administration pushed for looser policy. Most notoriously, former Fed chairman Arthur Burns was pressured by the Nixon administration to keep the cost of borrowing cheap. Fed officials insist they would not be swayed if they come under any political heat. Asked on Monday by the Financial Times if he would ignore recent criticism, Robert Kaplan, the president of the Federal Reserve Bank of Dallas, said yes. During the election campaign Mr Trump lashed out at Janet Yellen, the former Fed chairman, for keeping rates low, but he abruptly ceased his criticism after he came into office, calming markets. The recent interventions have on the whole been mild ones. But if the administration begins lashing the central bank more forcefully it could sow confusion in markets and force the Fed to demonstrate its independence, say some analysts. What makes the situation sensitive is the Trump administration’s predilection for hitching its fortunes to the stock market. If there were to be a significant sell-off, officials would probably look to shed the blame. For example, Steven Mnuchin, the Treasury secretary, in late March told Fox News Sunday that a stock market reversal in preceding days was partly down to the Fed. When he was asked if the Fed was raising rates too quickly, he said: “I respect Fed independence so I am not going to comment on that,” while adding that he believed the central bank is committed to not cutting off growth. As a TV commentator Larry Kudlow, the new NEC director, regularly commented on monetary policy and his approach will be closely watched now he is in the White House. During the week he was named as Mr Cohn’s successor Mr Kudlow said he hoped the Fed did not overdo it by lifting rates too far. 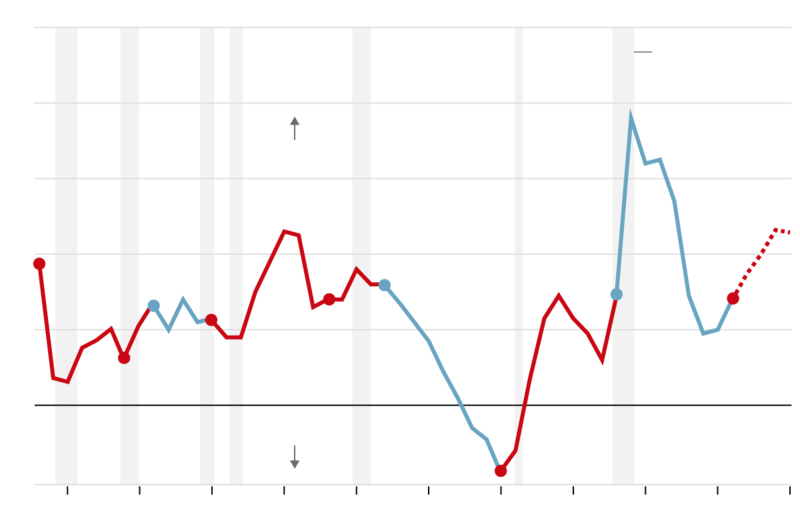 In his first roundtable with the media he went on to argue that faster growth does not cause inflation, and that the so-called Phillips Curve, which shows a trade-off between unemployment and price growth, does not exist. The Fed is accustomed to being criticised by members of Congress, who regularly complain about its decisions in public hearings and statements to the media. The White House’s key lever when it comes to influencing the Fed is the right to make appointments to its board of governors. The personnel decisions under Mr Trump have to date been broadly welcomed by markets. Jay Powell, the new Fed chairman, is seen as a pragmatic centrist on monetary policy. Richard Clarida was this week named as the nominee to be vice-chairman, with Michelle Bowman, a Kansas banking regulator, lined up as a governor. The Federal Reserve Board declined to comment. Additional reporting by Shawn Donnan in Washington. Media coverage of Central America has tended to focus on drug cartels, organized crime and migrants fleeing violence in their home countries. But this focus reflects as much the political climate in the United States as it does the actual threats emanating from the region. Since the end of the Cold War, Central America has been a region the U.S. could largely ignore, but as it comes into its own – establishing more stable, if still at times shaky, political institutions and trade partnerships – its ability to affect more formidable countries to its north is increasing. This situation, combined with the political climate in the U.S., could result in growing interest in Central America from outside players. Central America’s importance to the global system has ebbed and flowed over time. Central American countries made their geopolitical debut at the turn of the 20th century. By this point the U.S. – having survived a civil war and won wars against Mexico and Spain – had secured its status as North America’s uncontested power. In practice, this meant the United States had the capability not only to keep foreign powers out of the Western Hemisphere but also to expand the perimeter of its influence. In Central America, the U.S. employed a variety of methods to do so, including military interventions, supporting independence movements, buying up major infrastructure and monopolizing national economies through private businesses. But the onset of World War I brought a decisive end to major U.S. intervention in the region (at least for the moment). The U.S. had more pressing threats elsewhere, and the dominance it had already established in Central America meant that it could take a more hands-off role. It left behind economies dominated by monopolies, largely uneducated labor forces and unreliable political institutions. But with the beginning of the Cold War, Central America once again became a region the U.S. wanted to control. Central America’s proximity to the U.S. makes it an area of potential vulnerability for the United States. The Soviet Union realized this and tried to spread its political ideology there, turning the United States’ own backyard into a Cold War battlefield. The U.S. response ranged from direct intervention to indirect support for political coups. When the Cold War ended, Central America no longer posed a threat to the U.S., and thus Washington’s interest waned. Today, Central American countries continue to struggle to integrate into the global system, much the same as the countries of Eastern Europe, another Cold War battleground. U.S. intervention in Central America during that era led to hostilities, including civil wars, that resulted in political and economic instability across the region. But like Eastern Europe, these countries entered into a period of reconstruction. This process has garnered less attention than the turmoil of the Cold War era because there was no competition between outside powers and the stakes therefore were much lower. The region is still trying to recover from this strife and establish its own political systems, but progress is slow. As recently as 2009, Honduras experienced a coup, and notably not one that was engineered by the United States. More recently, a wave of protests following President Juan Orlando Hernandez’s second electoral win last November resulted in calls for a national dialogue to try to restore peace mediated by a third party. (The leading three candidates to act as moderators are former presidents of Mexico, Guatemala and Chile.) There has also been an increase in the production of coca, the plant from which cocaine is manufactured. Costa Rica has also seen an increase in coca cultivation, and there have been calls for the government to develop a national security agenda, which critics say is lacking. Drug trafficking in the country is on the rise. The newly elected Costa Rican government will likely struggle to govern once it takes office in May, having already had to reach across party lines for help. In El Salvador, security remains the primary challenge. The country never fully achieved peace and security after the end of its civil war, which the U.S. contributed to through its military support of the government. In the first quarter of 2018, homicides in El Salvador totaled 939, an increase of 14 percent compared to last year. But free from Cold War ideological divisions, the countries of the region are now able to re-evaluate their allegiances with external powers and form partnerships of their own accord. Honduras has started talks to join the Pacific Alliance, a Mexico-led Latin American trade bloc. Panama and Costa Rica are on their way to full membership in the group. Panama also recently signed a free trade agreement with China, and China’s overall share of Central American trade has been steadily rising in recent years. Guatemala and Mexico have increased border cooperation to deal with security threats. Nicaragua is potentially the most dynamic country of the region. The government of Daniel Ortega, who has been president since 2007, has pushed populist policies roughly resembling those in Venezuela, Russia and China. Nicaragua has managed to pursue a leftist agenda despite being so close to the U.S. geographically because it has received strong political backing and, to a lesser degree, economic and security support from all three countries, which have in turn used their support for Nicaragua as an indirect way to defy the U.S. With Venezuela’s economy in free fall and Russia’s and China’s economies slowing down, Nicaragua will be forced to reconsider its allegiances. These changes are compounded by two new trends in North America: growing violence from Mexican drug trafficking organizations and the rise of nationalism in the United States. 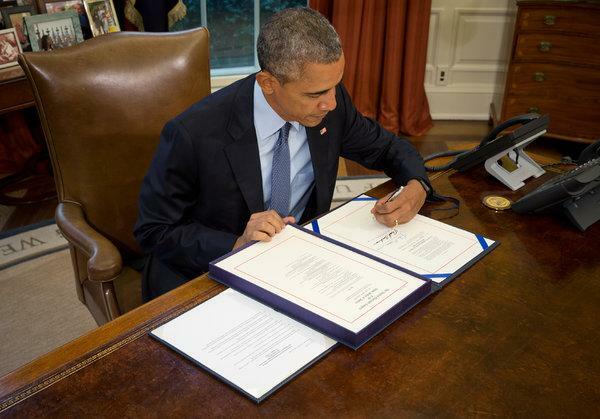 These developments have led the U.S. to pay increasing attention to events in Central America. Washington recently deployed the National Guard to the Mexican border in response to a caravan of Central American migrants in Mexico headed for the border. The U.S. has also tried to stem the production and trade of drugs in the region. This response was the United States’ way of trying to limit the effects of rising violence from reaching its doorstep, using the least amount of effort possible while leaving the burden of having to actually manage the problem to Mexico. But the most important threat facing the United States from this region is not immigration or drug trafficking but the fact that Central America is trying to shape its destiny on its own terms – not on U.S. terms. Central American countries are in the process of building political institutions, trade relationships and international partnerships that will shape their future for decades to come, and they’re doing so without the United States, for the first time in a long time. In some cases, this will lead to stronger ties with countries like Mexico. In others, it may give China or Russia a boost in the region. Washington’s interest in Central America is still far from what it was at its peak, but the U.S. will in the future see it as a region increasingly difficult to ignore. Few international leaders cut a dash like Emmanuel Macron. Last week, the French president received a standing ovation from the US Congress. The week before he got the same treatment from the European Parliament. This week, Mr Macron is off to Australia. At a time when Angela Merkel looks tired, Theresa May looks overwhelmed and Donald Trump looks berserk, the French president radiates energy, charisma and intelligence. His US trip generated laudatory headlines, with a Washington Post column arguing that “the fate of the western alliance is in Macron’s hands” and Politico proclaiming that Mr Macron is now the “new leader of the free world”. But to lead you have to have followers — or at least close allies. So far, Mr Macron is struggling in that department. He has admirers in many western capitals (and in even more western newsrooms). But there is, as yet, little evidence that he can form international coalitions to shift the direction of world affairs. This matters because there is a limit to what the leader of a middle-sized European power can do on his own. In recent generations, the most effective French and British statesmen were able to position themselves as shapers of international politics only in alliance with like-minded western leaders. François Mitterrand, France’s president in the 1980s, worked closely with Helmut Kohl in Germany and Jacques Delors, the president of the European Commission. Around the same time, Margaret Thatcher was forging an alliance with Ronald Reagan. In the 1990s, Tony Blair’s claim to be a world leader was burnished by his “third way” alliance with Bill Clinton and Germany’s Gerhard Schröder. By contrast, Mr Macron — for all his charm — is finding it hard to persuade others to follow his lead. Following his departure from Washington, Mr Trump called his French counterpart a “wonderful guy”. But for all the quirky, dandruff-plucking bonhomie between the two presidents, there is little evidence that Mr Macron was able to shift Mr Trump on anything substantive. The major differences between the two leaders — on Iran, climate change and protectionism — remain in place. This is hardly surprising since, as Mr Macron made clear in his speech in Washington, he and Mr Trump are at different ends of the ideological spectrum. The more natural arena for the French president to build alliances is Europe. But even there he is oddly isolated. Mr Macron has made a big bet on persuading Germany to take the next leap towards “ever closer union”, in particular by agreeing to a eurozone budget and finance minister. Yet the undoubted warmth felt towards Mr Macron in official Berlin has not proved enough to get Germany to move towards him. The suspicion that the Macron plan is just a fancy way of getting German taxpayers to fund an over-extended French state remains powerful and prohibitive. Without strong German support, Mr Macron has few obvious alternatives. Brexit creates a natural divide with the UK, which is accentuated by the British suspicion that France is pushing the European Commission to take a particularly tough line in the negotiations. The British were very appreciative of French support in the recent confrontation with Russia. But ad hoc moments of strategic co-operation between Britain and France, against the background of Brexit, are not a basis for Mr Macron to be the “leader” of a new western alliance. France’s other possibilities do not look any more promising. Mr Macron is unwilling to position himself as the leader of a southern European faction, lest this stoke German suspicions of French fiscal laxity. Italy, dominated by the populists of the Five Star movement and the League, is anyway not a natural partner for France. The Dutch, meanwhile, are moulding a new, informal “Hanseatic League” of northern European countries that is even more suspicious of Mr Macron’s proposed eurozone reforms than the Germans. Central Europe looks even worse. The French president has led the way in condemning “authoritarian democracy”, an unmistakable reference to the current governments of Hungary and Poland. His frankness is welcome and bold. But it is not winning many friends in central European chancelleries. The one part of the EU where Mr Macron gets full-throated support is Brussels. In the corridors of the European Commission, the French president is regarded as a hero. But elsewhere in Brussels there are complications. The fact that Mr Macron leads a new party, La République en Marche, means that his supporters are not part of the established power structures in the European Parliament — which is a problem when it comes to shaping legislation and parcelling out the top jobs. The danger for Mr Macron is that he could be a leader who is out of tune with the times. At home, he is a liberal economic reformer, at a time when “neoliberalism” has never been less fashionable. He is a pro-European at a time of mounting Euroscepticism across the EU. He is a globalist and an internationalist at a time when protectionism and nationalism are on the march. There is honour in all those positions. But Mr Macron may be swimming against the tide of history, rather than surfing the wave. Ever so slowly, conventional wisdom has started to recognize this reality. After Ryan’s retirement announcement last week, only a few headlines called him a deficit hawk. People are catching on to the con. But there is still a major way that the conventional wisdom is wrong: It doesn’t give the Democratic Party enough credit for its actual fiscal conservatism. Over the last few decades, Democrats have repeatedly reduced the deficit. They have raised taxes. They have cut military spending and corporate welfare. Some of them have even tried to hold down the cost of cherished social programs. Obamacare, for example, included enough cost controls and tax increases that it’s cut the deficit on net. Deficit/surplus as a percentage of potential G.D.P. The charts here tell the story, and I’ll get into the details in a moment. But I first want to spend a few moments on the perception gap, because it highlights a problem that’s bigger than budget policy. The country’s political impressions are heavily influenced by people who are supposed to be neutral observers — reporters, television anchors, think-tank experts and the like. They’re not perfectly neutral, of course. They have their biases. But most aspire to partisan neutrality. It’s an honorable aspiration. And it’s not easy to achieve. For one thing, they’re inundated by partisan advocates. If your job involved listening to people claim that, say, the Obama administration’s Syria policy was a success or that George W. Bush’s economic record was underrated, you too would develop a robust skepticism. The problem is this skepticism often morphs into a formulaic approach that can itself become untethered from reality. Whatever the facts, many journalists and Washington experts revert to familiar storylines: Both sides are hypocritical. The parties care more about scoring partisan points than getting anything done. The extremists have taken over, and there are no moderates left. All of these storylines have at least some truth to them. Like a stopped clock, they sometimes have a lot of truth. But they are indeed like a stopped clock. They never change. I’ve spent 25 years as a journalist and have repeatedly seen the discomfort that journalists feel about proclaiming one political party to be more successful than the other on virtually any substantive issue. We journalists are much more comfortable holding up the imperfections of each and casting ourselves as the sophisticated skeptic. Sometimes, though, one party really is doing a better job than the other. To refuse to admit it is to miss the story. So it is with budget policy. Get this: Since 1977, the three presidential administrations that have overseen the deficit increases are the three Republican ones. President Trump’s tax cut is virtually assured to make him the fourth of four. And the three administrations that have overseen deficit reductions are the three Democratic ones, including a small decline under Barack Obama. If you want to know whether a post-1976 president increased or reduced the deficit, the only thing you need to know is his party. The trend holds under a wide variety of deficit statistics, too. The ones here focus on a president’s policies by, among other things, removing “automatic stabilizers” — spending that kicks in when the economy weakens. If anything, a simpler analysis, using just the topline numbers, would make Republican presidents (especially the Nixon/Ford administration) look even worse. Meanwhile, an even more sophisticated approach would change the ranking a bit — hurting Bill Clinton and helping Obama — but not the partisan pattern. The caveat, of course, is that presidents must work with Congress. Some of the most important deficit-reduction packages have been bipartisan. The elder George Bush, in particular, deserves credit for his courage to raise taxes. Some of the biggest deficit-ballooning laws, like George W. Bush’s Medicare expansion, have also been bipartisan. In fact, the Democrats’ biggest recent deficit sins have come when they are in the minority, and have enough power only to make an already expensive Republican bill more so. The budget Trump signed last month is the latest example. So it would certainly be false to claim that Democrats are perfect fiscal stewards and that Republicans are all profligates. Yet it’s just as false to claim that the parties aren’t fundamentally different. One party has now spent almost 40 years cutting taxes and expanding government programs without paying for them. The other party has raised taxes and usually been careful to pay for its new programs. It’s a fascinating story — all the more so because it does not fit preconceptions. I understand why the story makes many people uncomfortable. It makes me a little uncomfortable. But it’s the truth. 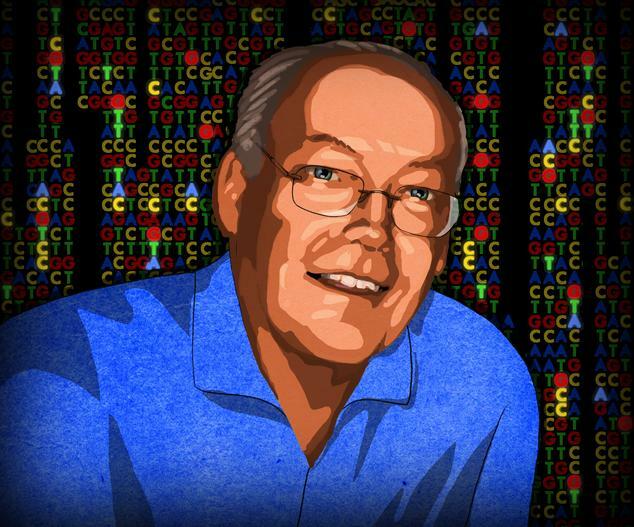 Mike Hunkapiller helped invent the DNA-sequencing machines that read the human genome. Now his company’s tools are decoding everything from insects to cancer cells. The biological code of mankind—three billion pairs of chemical “bases,” twisted clockwise into DNA’s iconic double-helix—was declared fully transcribed, at long last, 15 years ago. On April 14, 2003, the leaders of the Human Genome Project, an effort backed by the U.S. government, proclaimed their sequence “essentially complete.” Including the preliminary work, the task had taken 13 years and cost American taxpayers $2.7 billion. Mr. Hunkapiller, age 67, has been in the forefront of genomics for a long time. As a postdoc at Caltech in the 1980s, he helped invent the first automated DNA-sequencing machine. In the 1990s he led a company whose sequencers drove not just the public Human Genome Project but also its privately funded competitor. Today he is CEO of Pacific Biosciences, known as PacBio, which aims to bring heavy sequencing artillery to the lab-coated grunts in the scientific trenches. As the price of reading DNA has plummeted, large-scale sequencing projects have geared up, pledging to get the genomes of 5,000 species of arthropods, or 10,000 kinds of birds, or one of every vertebrate on Earth. For three years running, PacBio has held a public contest to find the “World’s Most Interesting Genome,” which is then sequenced on the company’s dime. Last year’s winner, a feral Australian dog called the desert dingo, defeated a Malaysian pit viper, a “solar powered” sea slug, and the bombardier beetle, which squirts its enemies with a caustic, boiling-hot liquid. PacBio’s latest model of sequencer is about the size and shape of a standard kitchen refrigerator, albeit a $350,000 one. To imagine how the machine works, start with a hole about 1/1,000th the width of a human hair. At the bottom is an enzyme that in nature helps copy DNA. Here it does the same job, but in a way that allows researchers to eavesdrop. The enzyme is fed a loop of DNA to duplicate, along with free-floating bases—the A’s, C’s, G’s and T’s that make up the genetic code—to use as raw material. Unlike in nature, however, the four flavors of bases have each been tagged with a different-colored fluorescent dye. Now the real trick: A laser is aimed at the hole, but the beam’s wavelength makes it too big to fit through. If this idea seems strange, think of the protective window-grate on your microwave oven. The principle is the same: The microwaves are too wide to escape, which is why the oven nukes that sad Lean Cuisine and not your hungry face. In the PacBio machine, the laser light peeks into the hole just enough to put a spotlight on that industrious little enzyme. Whenever the enzyme grabs a fluorescent base and incorporates it into the DNA strand, it glows with color. The machine records the light, blinking two or three times a second, and converts that data into the DNA sequence. Serious bandwidth comes from putting the process into massive parallel: A PacBio chip 1.25 inches square has one million holes, flashing with light. The next version, due out in 2019, is expected to have eight million holes. At that point, the company says its cost in supplies and chemicals to create a finished human genome, from scratch, should drop from roughly $15,000 to something like $1,500. But the big competitive advantage touted by PacBio is that its machine spits out long DNA sequences. The average read has climbed to 15,000 base pairs, with some pushing up toward 100,000 before the enzyme peters out. 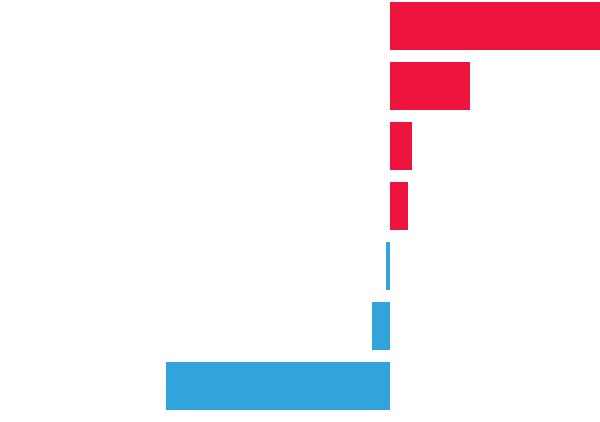 For comparison, during the Human Genome Project, the average fragment was on the order of 500 base pairs. That difference matters particularly when assembling a full genome for the first time, without the aid of a reference. To put the length of the human genome in perspective, if a cell’s DNA were unraveled from its 23 pairs of chromosomes, it would stretch about 6 feet. Once it’s blasted at random into minuscule segments that are then sequenced, a computer has to figure out, piece by piece, how to fit them together again. An analogy would be to try reconstructing “War and Peace” from a couple of dozen shredded books. Yet the chore is far more tedious even than that, since the human genome reads, for three billion letters, like this: “atgtctggctctgttccccagactggagtgcggcgac . . .” The supercomputer that assembled one of the initial human sequences examined 26 million fragments and made 500 quintillion—that’s 500 million trillion—base-to-base comparisons. Having puzzle pieces now that are 30 times as big certainly helps. In addition, reading longer fragments allows scientists to tackle very repetitive genomes that otherwise would be difficult to assemble. The sequence for bread wheat, at 15 billion base pairs, was finished last year. When the human genome was first decoded, the hopes for a quick medical payoff were high. One prediction was that by 2010 every newborn baby would come home from the hospital with its DNA sequence on a DVD. Mr. Hunkapiller blames the hype on competitive jockeying as two teams raced to finish the human sequence first. The government-funded effort, led by Francis Collins (now director of the National Institutes of Health), originally planned to complete its work by 2005. But then in 1998 Mr. Hunkapiller’s parent company, impressed by the speed of his new sequencers, decided to take on the job itself. The result was a new firm called Celera, led by J. Craig Venter. It planned to beat the government operation by four full years—and to release its data in tranches only after giving its paying subscribers, like pharmaceutical companies, a good look. Soon the two sides were trading barbs. Mr. Collins said the Celera genome would be “the CliffsNotes or the Mad Magazine version.” Mr. Venter said the public project was “putting good money after bad.” In the end, the two men agreed to—or were forced into—a truce. At a White House ceremony in 2000, hosted by Bill Clinton and Tony Blair, they appeared jointly to announce that drafts of both sequences had been completed. Mr. Hunkapiller, though invited, was stuck at home with chickenpox. Fifteen years later there’s a lot of medicine yet to be wrung out of genomics. A startling fact is that when a patient is suspected of having an unknown genetic illness, the “solve rate” is 50% or less. Mr. Hunkapiller says PacBio’s machines can help by detecting what are called “structural variants,” changes to DNA that may involve hundreds or even thousands of base pairs, making them difficult to pick up with earlier technology. Last year a group at Stanford was able to diagnose a young man whose heart had repeatedly grown benign tumors. One of his genes on Chromosome 17 was missing 2,200 base pairs. For multifactor diseases, it appears to be a matter of drawing signal from the noise. Two years ago it was front-page news when researchers found a gene variant that significantly increased a person’s risk of schizophrenia—from 1% to 1.25%, an absolute change too small to be very meaningful. “In the case of genetic diversity, because there’s so much of it, you need statistical power, which is large numbers of samples,” Mr. Hunkapiller says. “But you have to know how to sort things out so that you’re not comparing apples to oranges to pears to axolotl.” The NIH will soon launch a program to sequence DNA from one million people living in the U.S., and Mr. Hunkapiller thinks that data could help, provided it includes decent patient histories and other ancillary material.